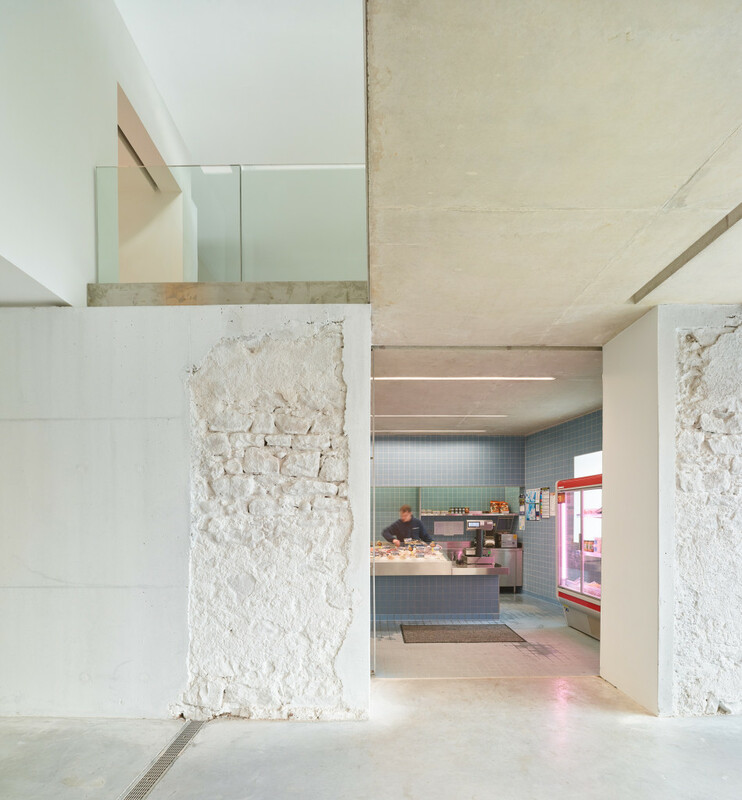 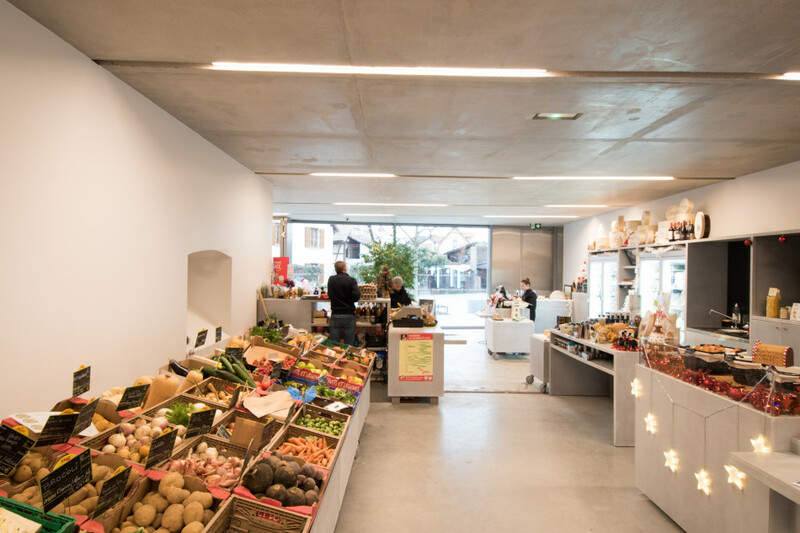 The rehabilitation of the butchers’ cooperative is part of a process initiated by the municipality with the aim of regenerating the town’s urban fabric. 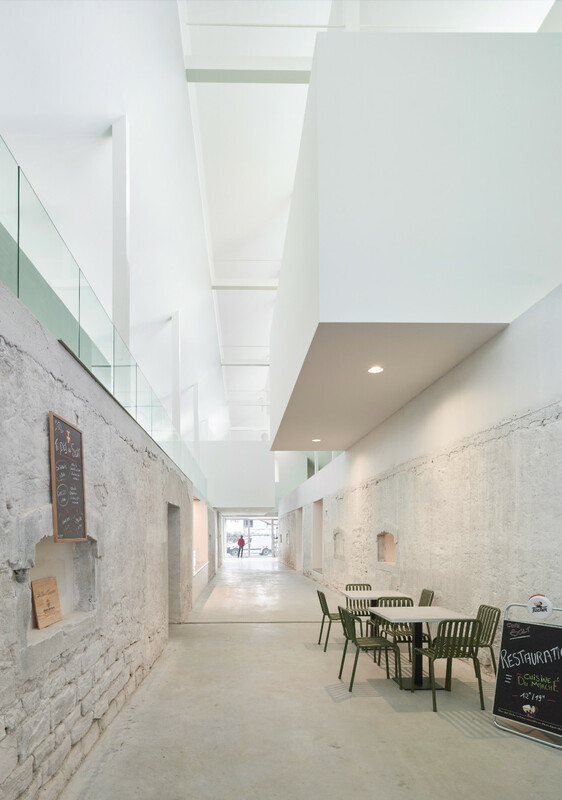 The place was originally a distillery, before becoming a butchers’ cooperative, and had been taken over by the municipal authorities, which had turned it into an exhibition area for young artists and a place for drama performances. 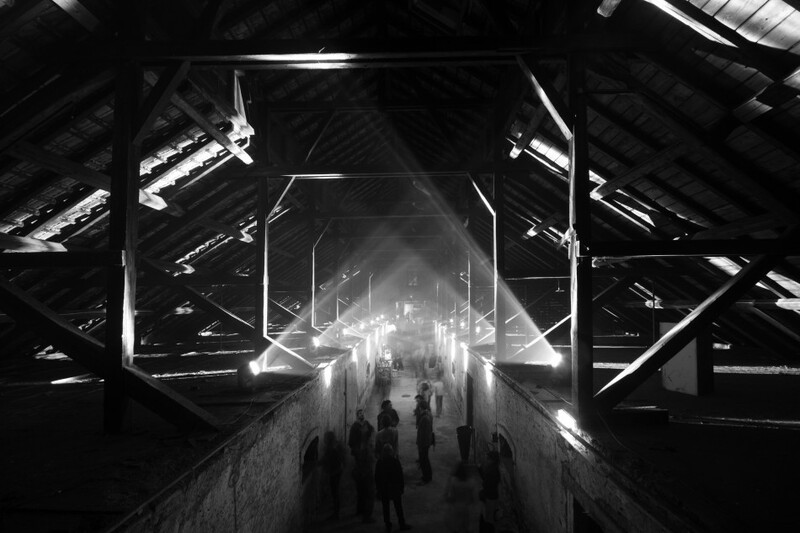 When the venue ceased to meet the safety standards in force, it was closed to the public – for a decade. 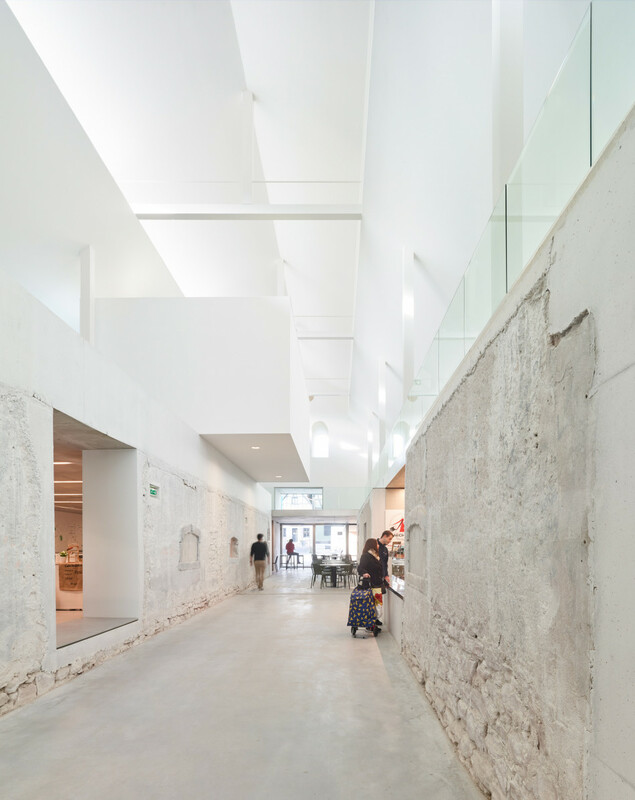 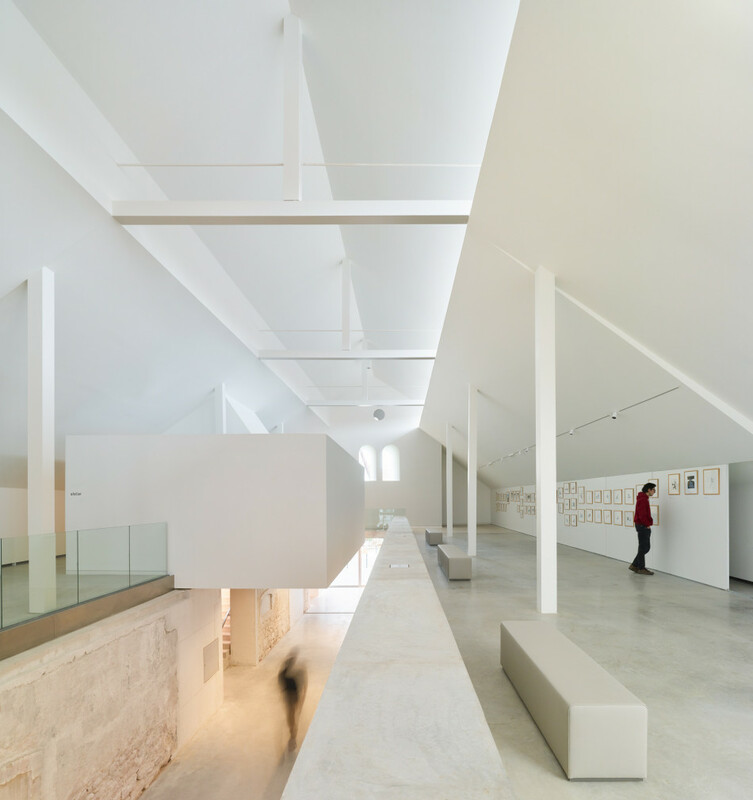 The substantial rehabilitation project deals with the building in two ways: the emblematic site in the heart of the historic centre of the town has been given a new lease of life, while its heritage and architectural integrity have been preserved. 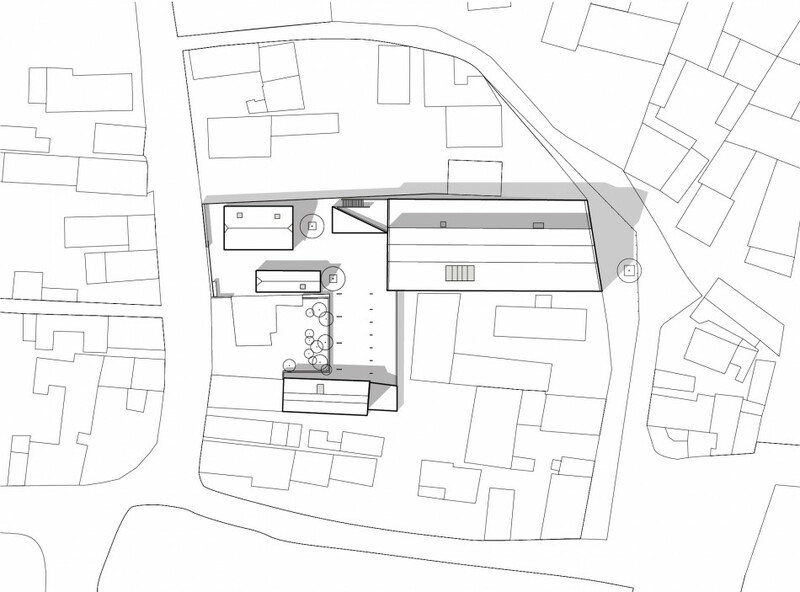 Its mixed programme and the through passage it creates confer on it the status of a public space, accommodating a market, places for shopkeepers, an exhibition area, and a creative workshop. 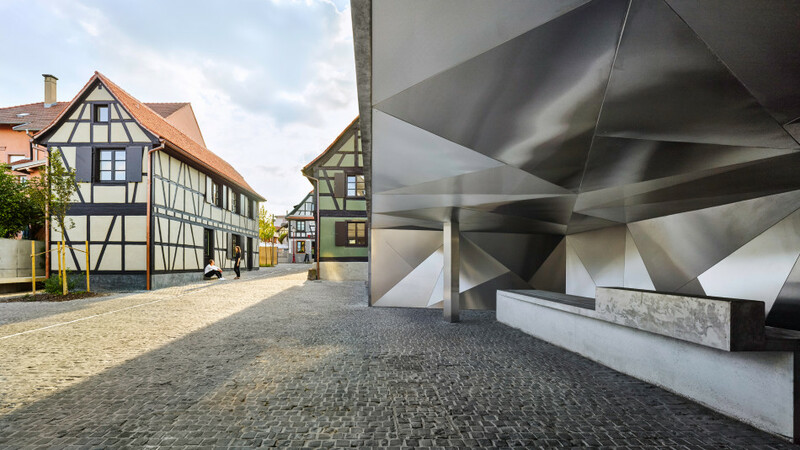 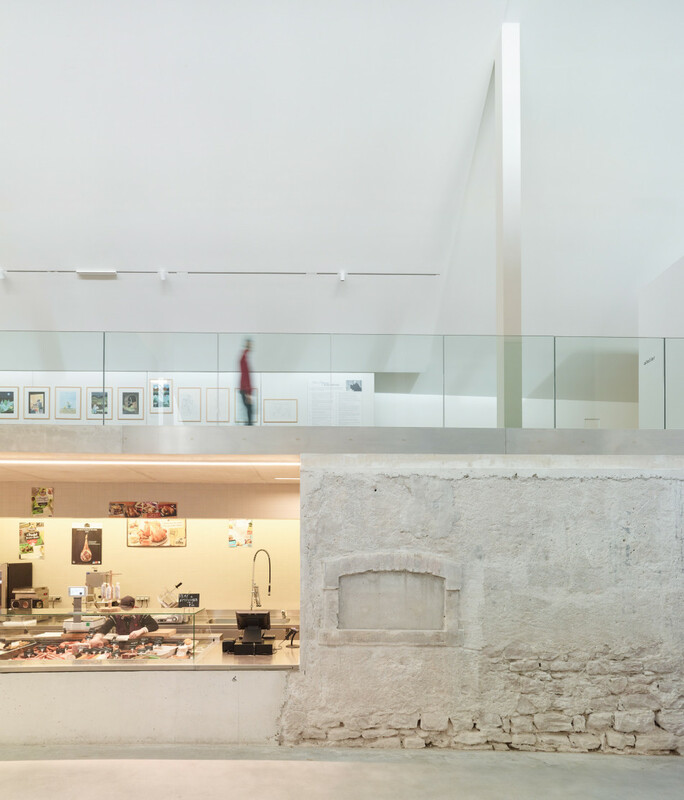 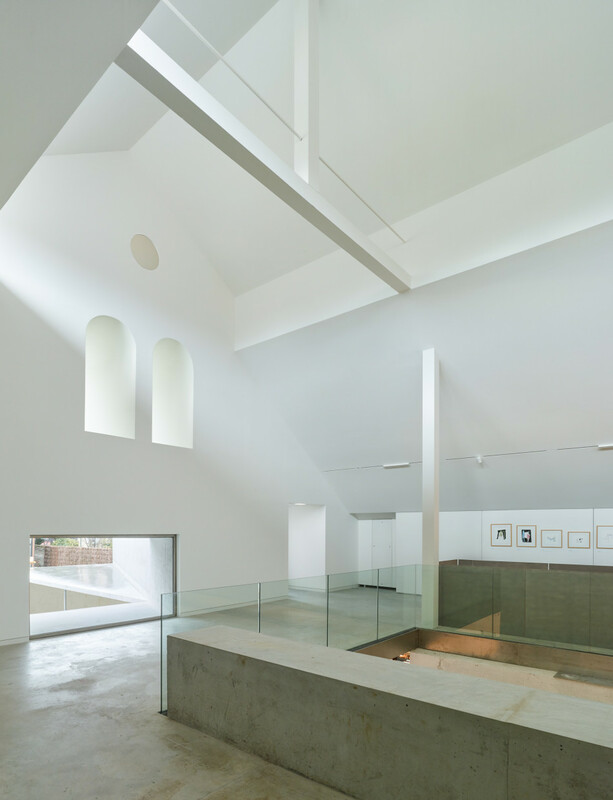 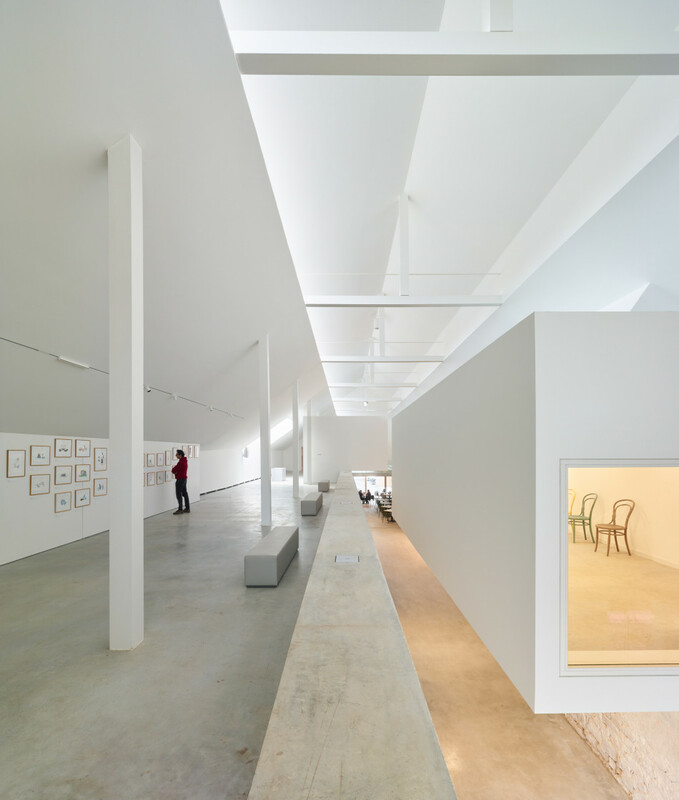 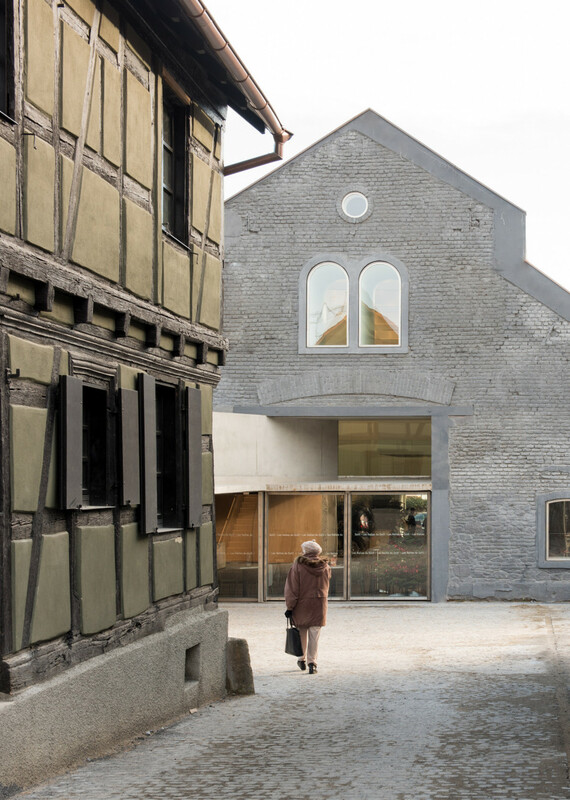 This new art centre and covered market is set within an exemplary built context, comprising strips of land and remarkable examples of vernacular architecture. 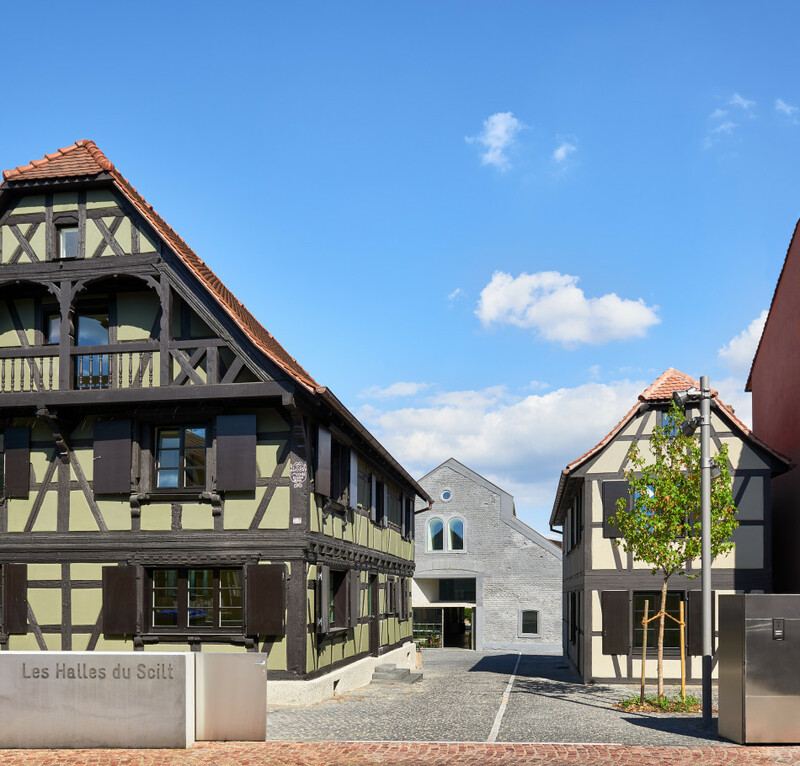 While affirming its contemporary dimension, it highlights the constructional and aesthetic qualities of the existing buildings on the site. 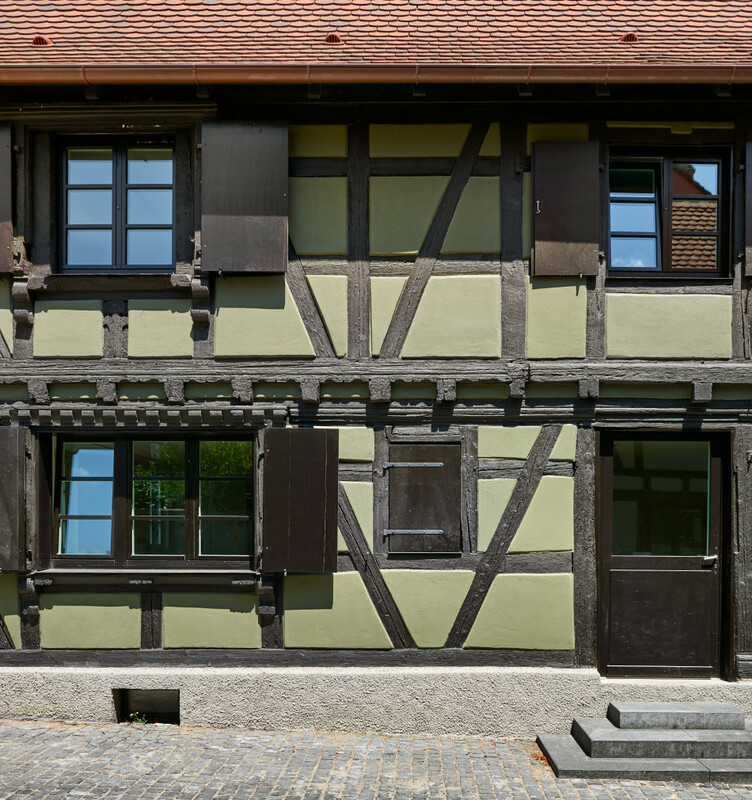 In doing so, it returns to a process that has characterised the formation of our built heritage - stratification. 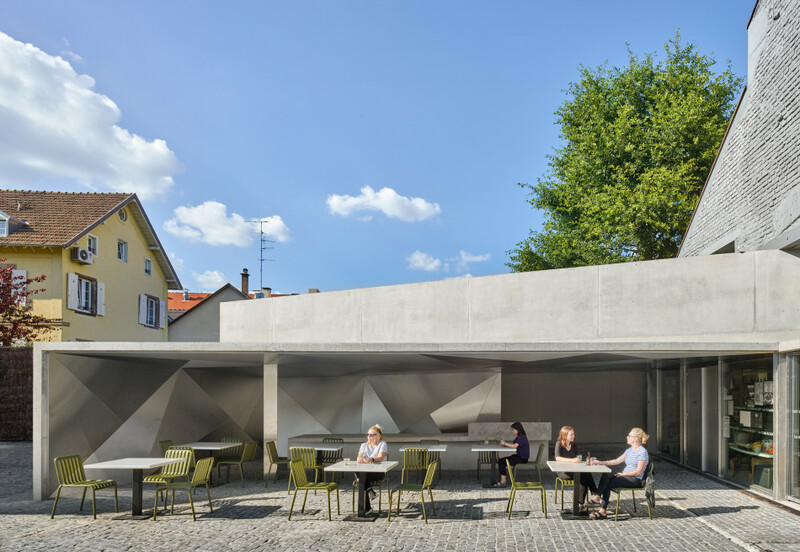 The sheltered summer bar really extends the exhibition area outdoors. 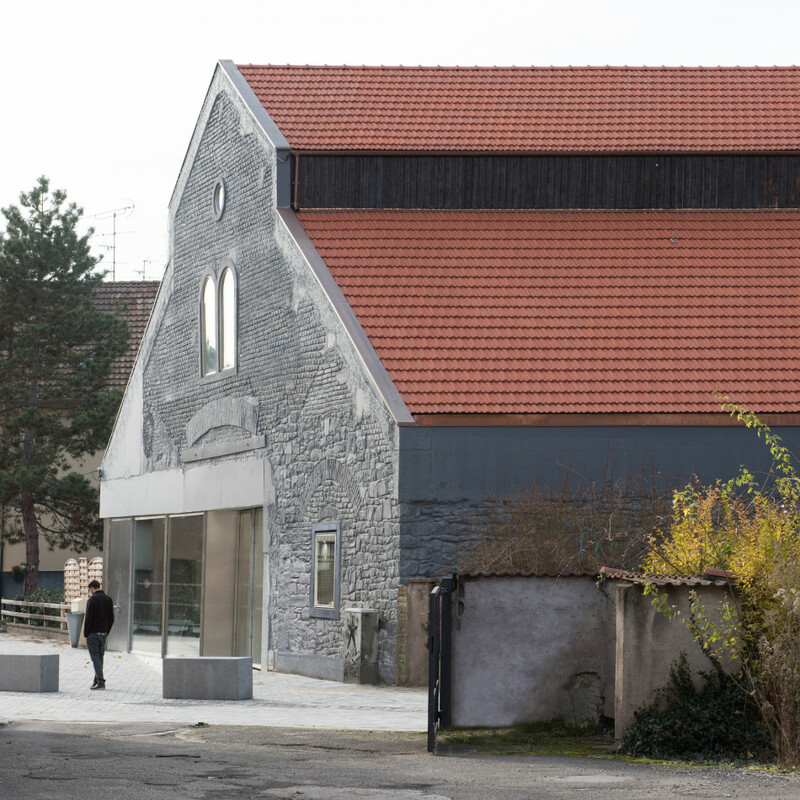 This generous arrangement confers institutional status on the cultural centre, which is intended above all to serve as a place where all can gather and talk. 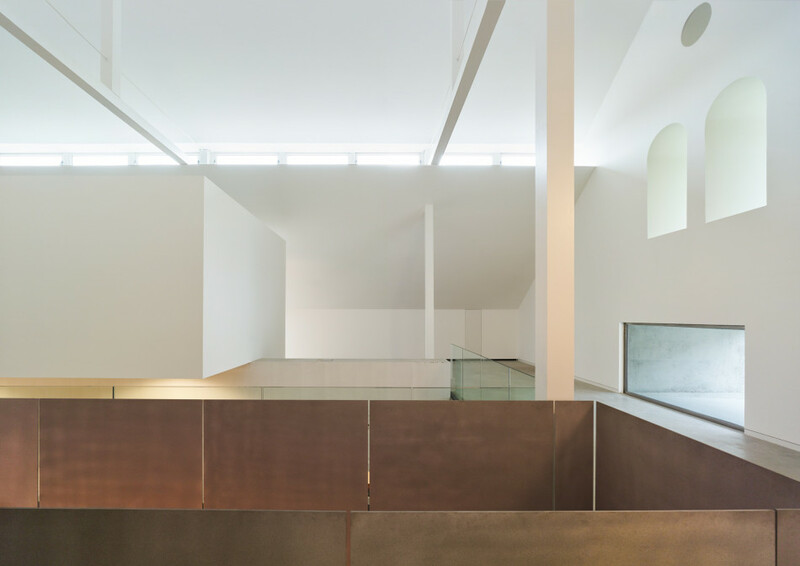 On the inside, the architecture and scenography are used to promote spatial polyvalence by proposing efficient internal functioning and modulable light. 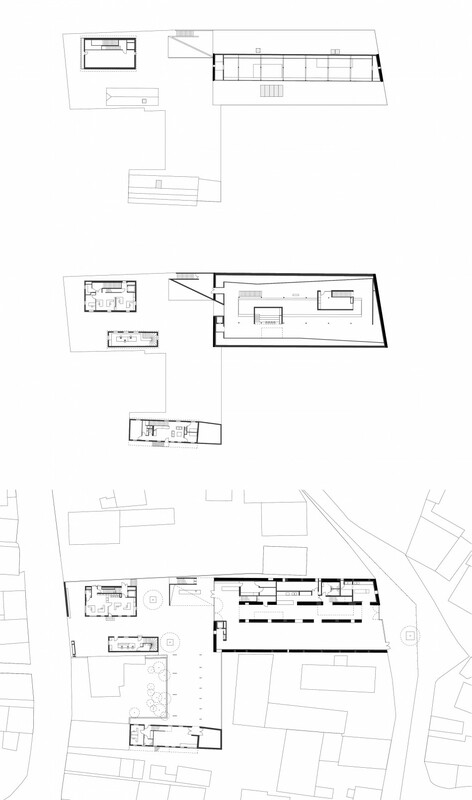 Here, the exhibition area attains it universal ideal, becoming a single space with multiple uses.